While scrolling through my Facebook feed the other day, I came across a crafty holiday post by my long time friend Gretchen McGrath. The project was so stinkin’ cute! I immediately thought… GUEST BLOG POST! So off to messenger I went and Gretchen graciously agreed to share her process and her pictures with us! With that… take it away Gretchen! 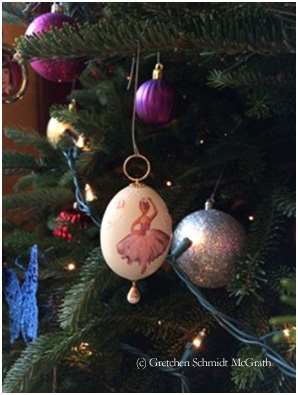 We bought a beautiful ballerina egg ornament last year for my daughter. She asked if we could make one. I remembered years ago as a kid making them with my brothers. Blowing out the gunk was funny (and it still is). So we googled it to make sure we were doing it right, but it really is easy. You just need a thick needle – we used a pin part of a brooch. 1. 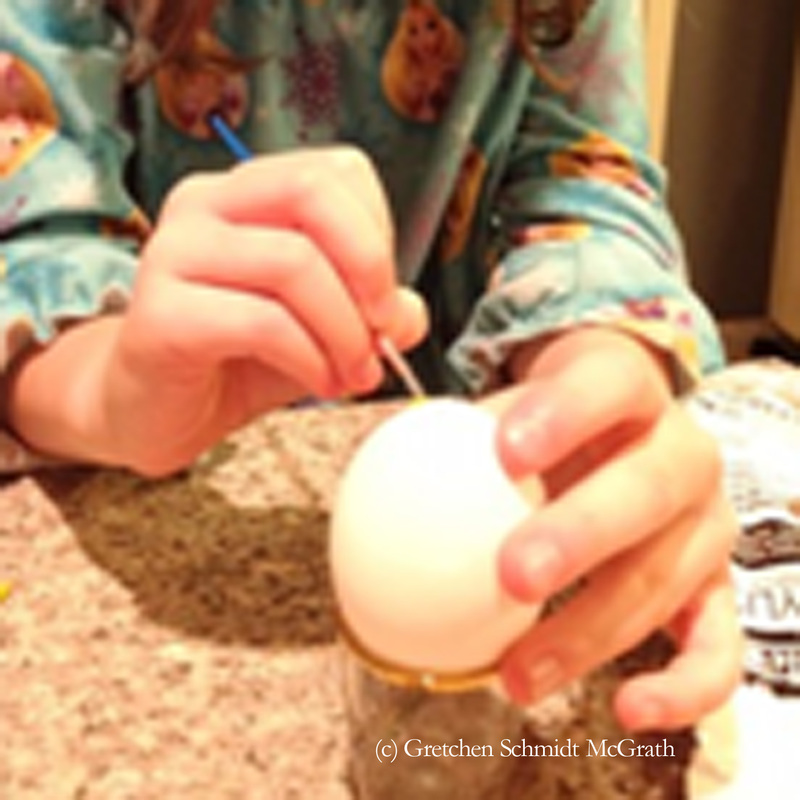 Carefully poke the two ends of the egg and jiggle the pin around inside to loosen the egg white and yolk. 2. Over a bowl, blow firmly into one of the holes and the insides come out the other end. The whites will come out first. 3. 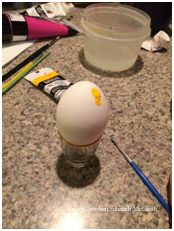 Use the pin to poke and jiggle the yolk to “scramble” it a bit to help it come out. Blow that part out. 4. The last part to come out is the membrane – once that comes out a bit, you can pull it gently with your fingers. 5. Rinse the water and blow out. 6. Pat dry with paper towel. 7. Stand up in a small glass – we used a shot glass. 8. Paint or decorate to your liking! We used acrylics. The one we bought has decoupage and some jewels. 9. 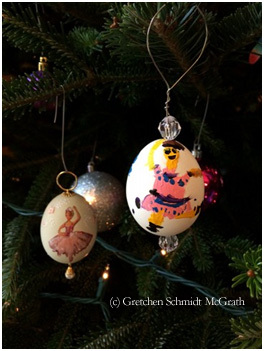 After it was dry, I strung a wire through the egg and added beads and hung on the tree! Isn’t it beautiful!!! I just love how it turned out and will be sure to try this with my kiddos sometime soon! Thanks for sharing your awesome crafty tutorial Gretchen! Thanks so much for asking me to be your guest blogger! It was such a fun project and easier than I thought. I hope your readers enjoy it too!